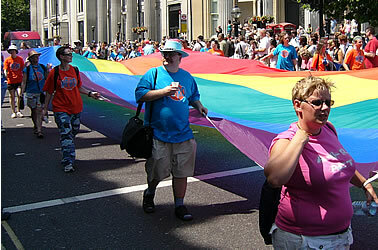 Pride London is an annual event organised by the city's LGBT (lebian/gay/bisexual/transgender) community. 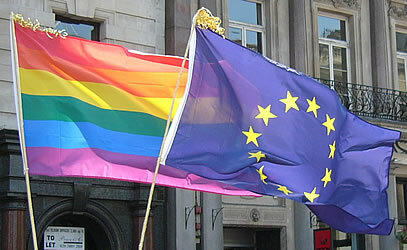 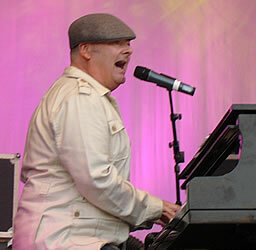 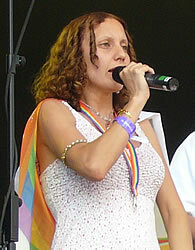 Each year a European city hosts a special Euro Pride: London was chosen for the event in 2006. 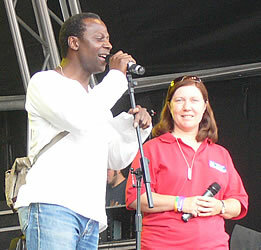 The photos on this page were taken during the main day of celebrations on Saturday 1 July 2006. 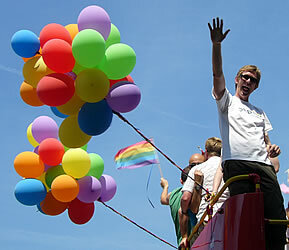 Similar Pride festivals are organsied in other parts of the UK at different times of the year (for details see the "Further information" section below). 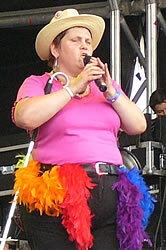 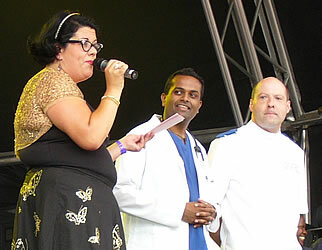 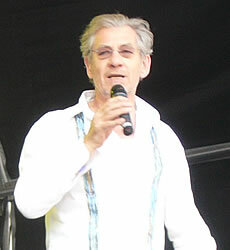 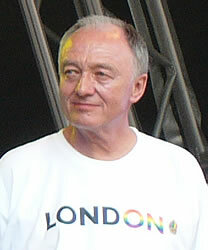 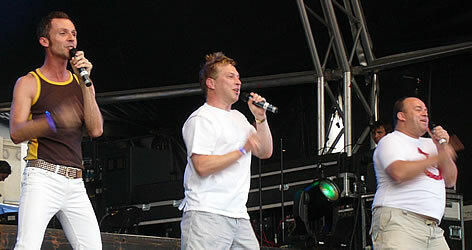 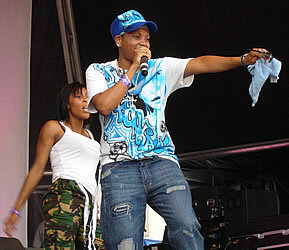 In 2011 Pride London is on Saturday 2 July. 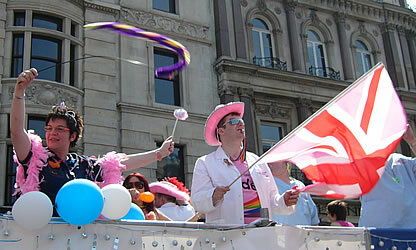 The 2006 parade started at 1pm. 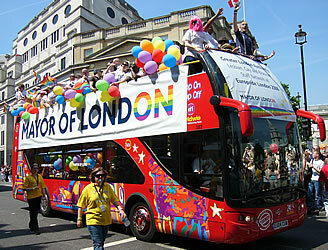 The route followed a special route through some of London's main streets: along Oxford Street to Oxford Circus, down Regent Street to Piccadilly Circus, past Trafalgar Square, along Whitehall, then along Victoria Embankment. 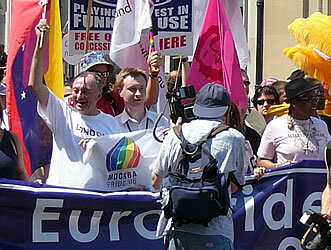 Ken Livingstone (left) at the head of the parade. 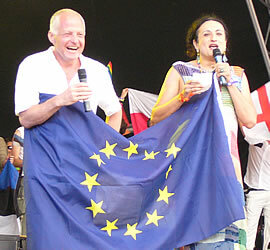 The EuroPride Rally was in Trafalgar Square after the parade. 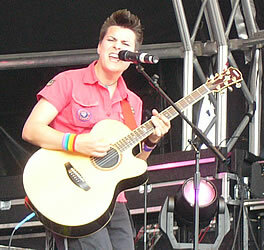 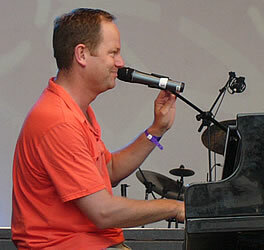 This was a mixture of entertainment and speeches about current gay issues. 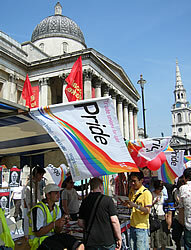 For the official website for Pride London, see: http://www.pridelondon.org.